A stunning pair of ceramic Bambino mugs for new parents. 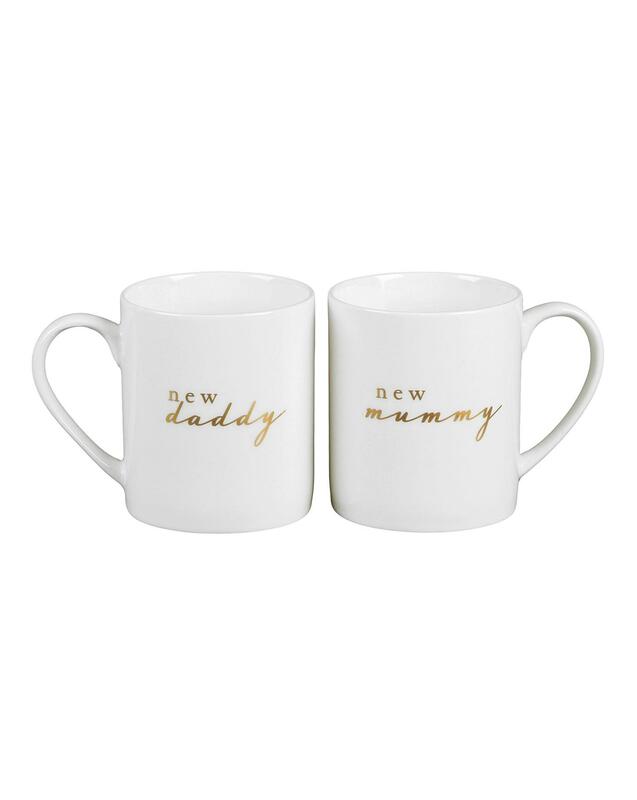 The high quality, crisp white ceramic mugs feature gold foil 'new daddy' and 'new mummy' titling. Complete with windowed gift box. Not suitable for microwave or dishwasher. H.9 x W.11 x D.8cm approx.